PABA (Para-Aminobenzoic) is found in food such as grains, eggs, milk and meat. It is precursor of folic acid and may be used by our gut microbiota to produce folic acid. 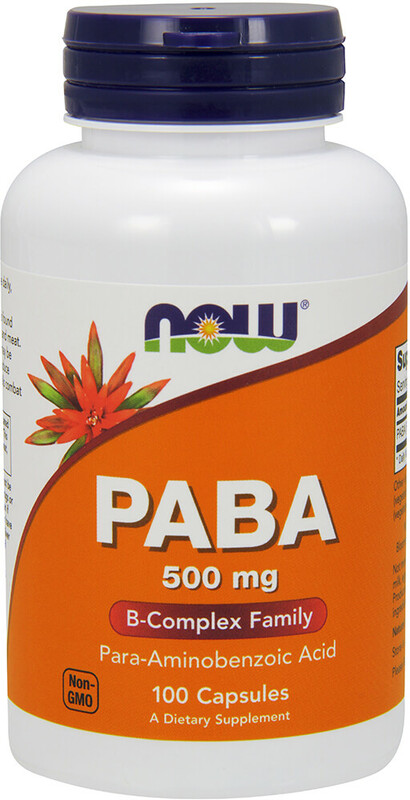 ** PABA may also help cells combat oxidative stress.